Pinnacle Acting Company tends not to disappoint. Though its strengths are intimate shows focusing on a small cast of some of the best actors in town, I don’t blame the company for wanting to evolve. 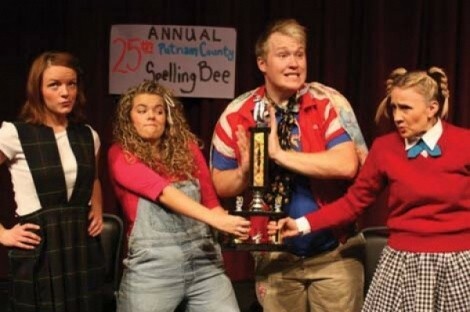 To that end, Pinnacle brings us The 25th Annual Putnam County Spelling Bee this week, the first musical comedy offering from the company. The show itself is a Broadway classic, having won two 2005 Tony awards, including one for playwright Rachel Sheinkin for Best Book. Putnam County Middle School, Anywhere, USA, is having a spelling bee and you are in attendance. The quirky contestants, their families, and the bee’s barely intellectually post-adolescent moderators make up the cast. A limited number of performers pull multiple duty to bring life to the county’s denizens.